Those who preach have been called to deliver the truth, and must do so with a conviction that every truth demands a response. In this fourth installment of the "A Treasury of Baptist Theology" series, author Josh Smith aims to start a conversation about the role of exhortation in preaching. With emphasis on the biblical and theological foundation for exhortation, and attention to how exhortation is used in both Old and New Testaments, Smith makes a compelling argument that preaching must include both explanation and exhortation. 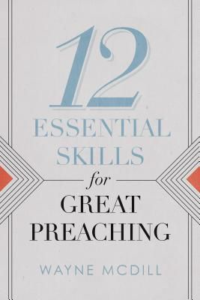 Pleading on Christ's Behalf also provides practical steps to implement effective exhortation in preaching, and offers a variety of biblical models of exhortation to equip the reader to deliver the message of Christ with authority. Text-driven preaching demands text-driven exhortation. Jason G. Duesing serves in academic leadership at Midwestern Seminary and is the author of Seven Summits in Church History, and editor and contributing author of First Freedom: The Beginning and End of Religious Liberty, Adoniram Judson: A Bicentennial Appreciation of the Pioneer American Missionary, and other works. He is married to Kalee and together they have two sons of Adam and two daughters of Eve.